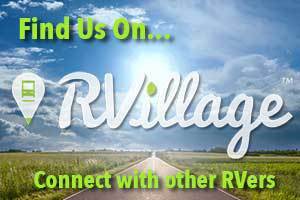 Here we go with the 2019 Chauvin Produce Company expansion! Also known as Rosie’s garden version 2.0!! Our 8′ x 16′ garden is now 16′ x 16′! 256 square feet! 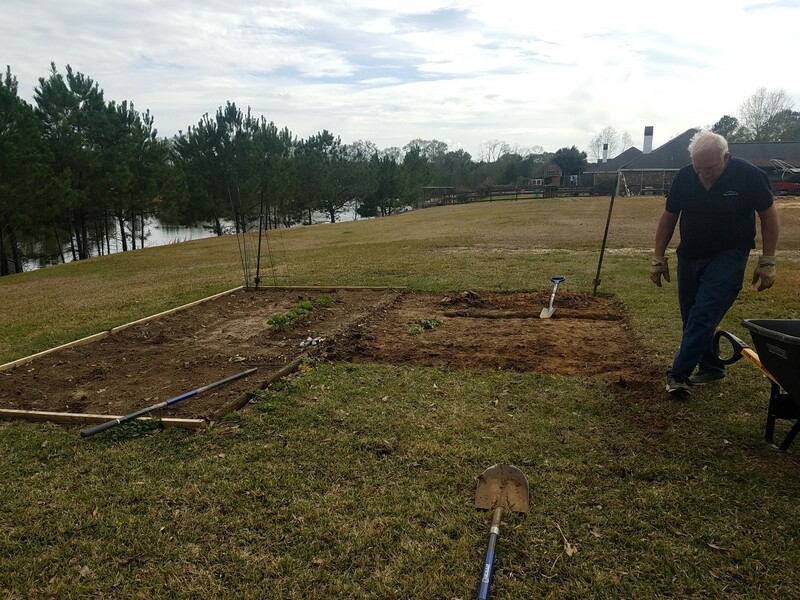 My honey spent two grueling days this week digging up the grass from where the garden will be and replanting it in the side yard, just like he did the original garden last year. At least this years garden was begun while the weather is still cool. Last year was during the heat of the summer, ick! 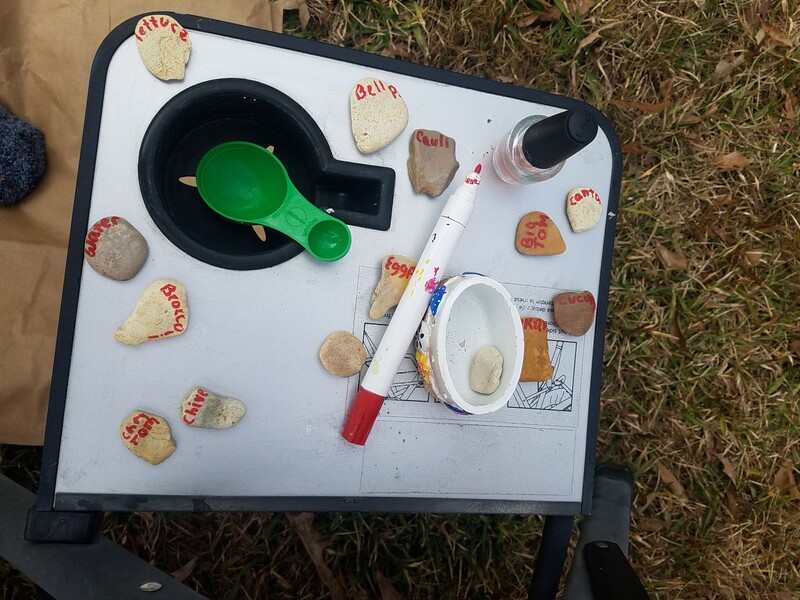 I needed a way to identify each row of seeds so I selected some flat rocks and fit as much of the plants name as I could on the rock sealing them with clear nail polish! It worked! 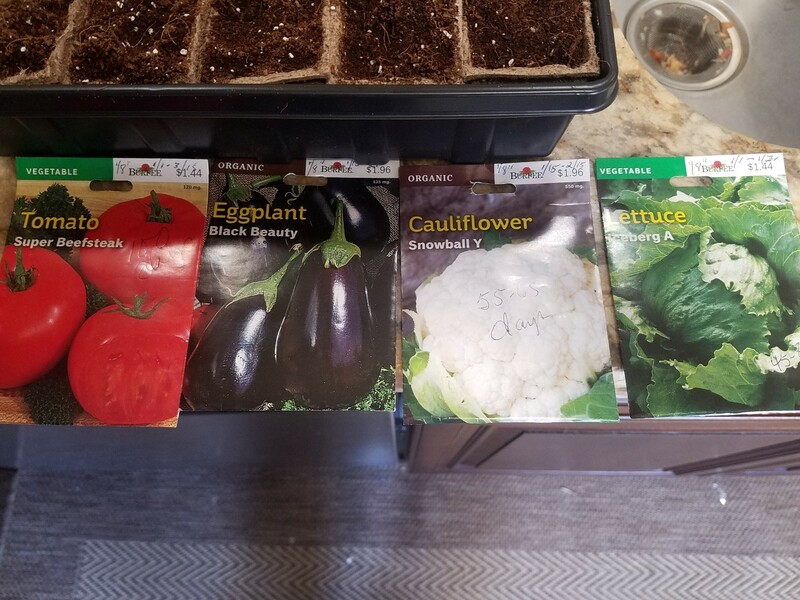 This years garden will include January plantings of 100 tiny peat pots filled with planting soil and seeds of cantaloupe, broccoli, cauliflower, bell peppers, eggplants, cherry tomatoes, beefsteak tomatoes, green onions and iceberg lettuce. Yeah that’s quite a variety. We’re still learning and I want to see what grows best here. When those have sprout enough in the container they will get moved outside to acclimate and then get planted in the garden where we will have crops galore!!! 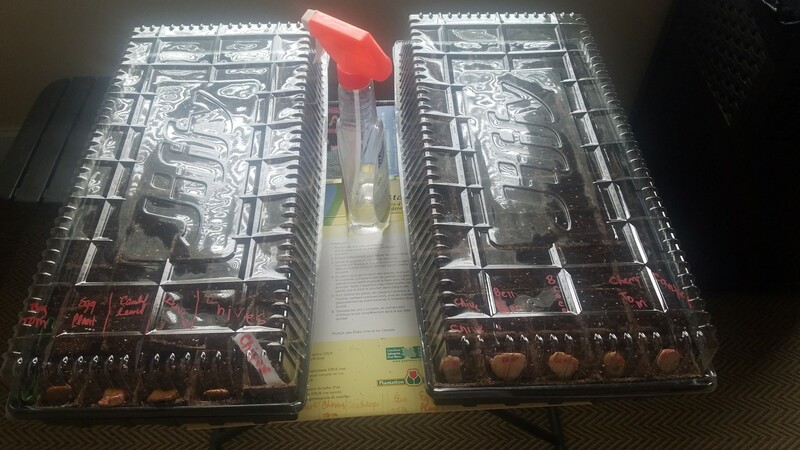 These are the two containers with peat pots, soil and seeds. 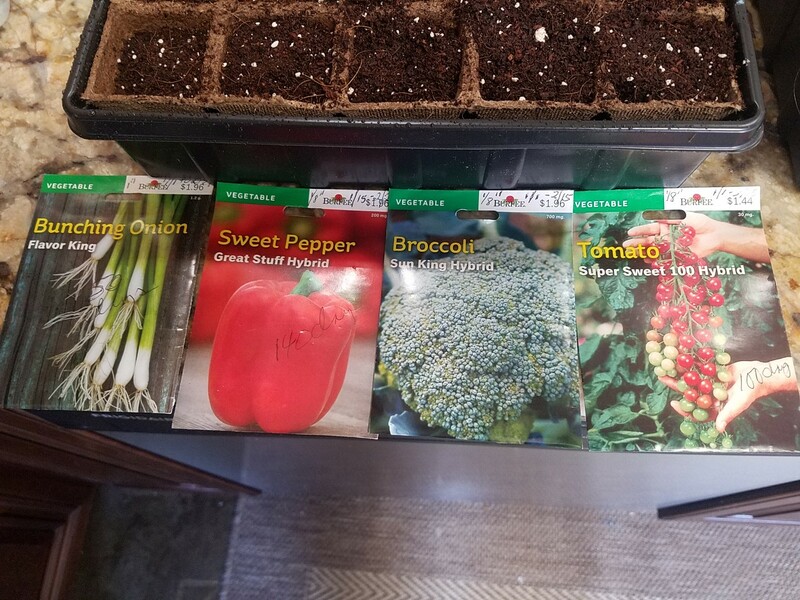 In late February we’ll plant the watermelon seeds, cucumbers, okra, seed sweet potatoes, yellow onion sets and peanuts. 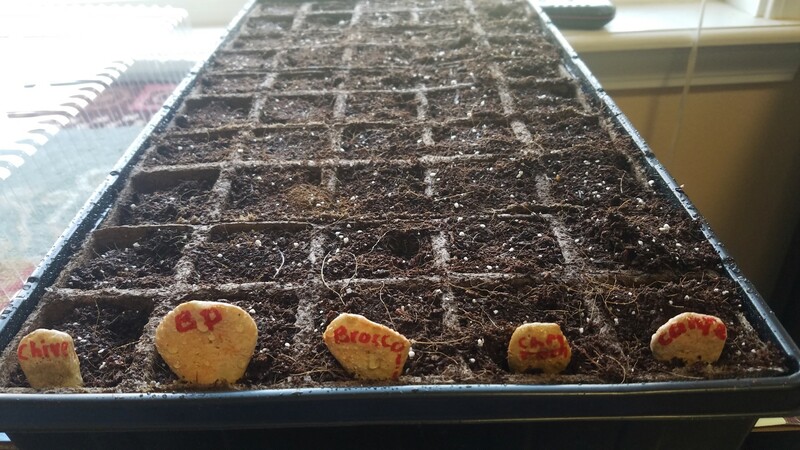 Three merlitons are sprouting to be planted when ready. 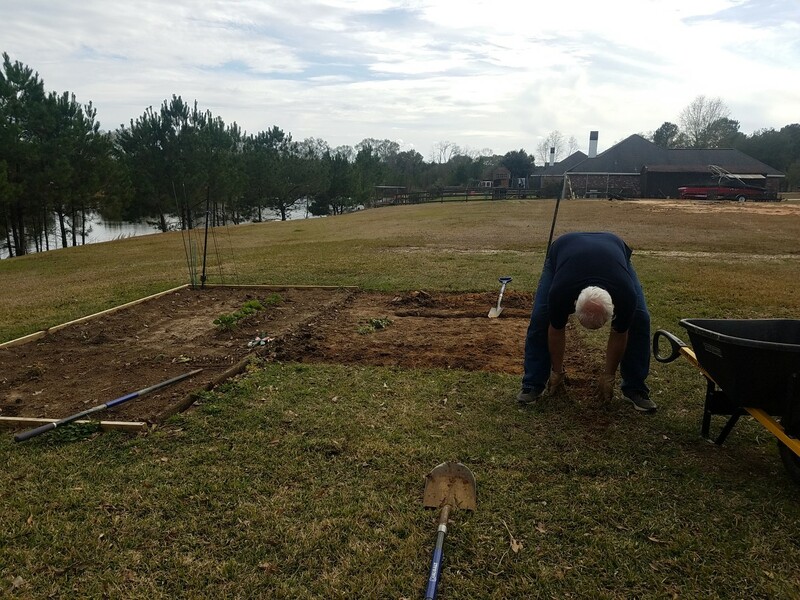 Roy is building a raised trellis for the merlitons and cucumbers to grown on. Some of the garden may be planted down by the pond like we did last year with the watermelon and cantaloupe. We’ll see!